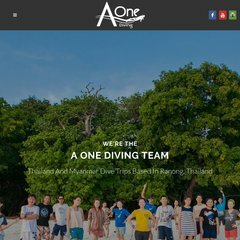 A-one-diving is ranked 5,503,919 in the United States. Age: It went live on April 4th 2002, making it over 16 years, 0 months old. The site is programmed for PHP/4.4.8. It is hosted by Ntt America Inc (Colorado, Centennial,) using Rapidsite/Apa/1 web server. There are 2 Nameservers, ns14b.nameservers.net, and ns14a.nameservers.net. PING www. (199.236.85.211) 56(84) bytes of data. A ping speed test response, is timed at 48.9 ms.